Thinking of replacing the deck this spring? 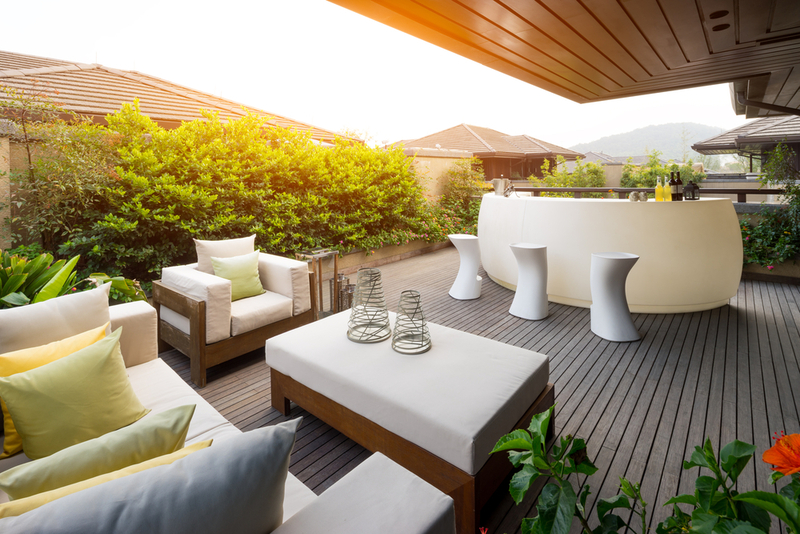 After the harsh Canadian winter weather, outdoor surfaces can take a severe beating, and, of course, that includes the deck. After a few years of enduring the elements, it may be time to have it repaired or replaced. To help you determine if that time is now, here are five signs that your deck is becoming weathered. If your deck is a good few years old with the posts resting directly on the footings, it’s important to keep an eye on this area for signs of rot. When the posts rest on the foundations, it means they’ve been soaking up moisture over the years, which is why they can quickly become susceptible to rot, which can weaken the overall structure. Since the posts are what hold the weight of your deck up, it’s necessary to have this addressed as soon as you notice it. When you lean or grab on to your deck railings, do they shift, creak or feel loose? If so, this doesn’t mean you need to replace your entire deck, but it is an important part to repair in order to avoid safety hazards. This can also potentially highlight the condition of other areas of the deck that were installed at the same time, which may be less visible. So have a look at your deck for any additional weakened regions that may need repairs. The ledger boards are what keep the deck attached to and supported by your house, which is why they are crucial to keep an eye on. If the boards deteriorate and weaken, they can eventually cause the deck to collapse. So any sign of rot or deterioration should always be a sign that a deck renovation is necessary. One of the most natural and most common signs that your deck is becoming weathered is when there’s a noticeable wobble, softness or creaking when you walk across the deck. Shifting deck boards can gradually pull away from the ledger and cause them to weaken. So always replace any wobbly boards. Sometimes, your first glance at the deck after the snow has completely cleared can be enough to determine that it’s time for a replacement. When it becomes the reason why you no longer invite the family over for weekly BBQs, it’s definitely reached the end of its lifespan. When it’s time to finally tackle the deck, contact us at Fence Masters. We can assist you with minor repairs, or even from design to instalment, including a free on-site estimate. Contact us today!